As a 'thank you' to our contractors for their continued support and hard work, McLeod Home Building Centre in Spruce Grove introduces the exclusive Top Notch Program. The program enables contractors to earn points each time they shop at McLeod Home Building Centre in Spruce Grove, as well as for prompt payment of accounts. These points may then be redeemed for items from the Top Notch Rewards catalogue and various participating establishments. Rewards can range from gift items, to all-expense-paid trips, to even brand-new cars! 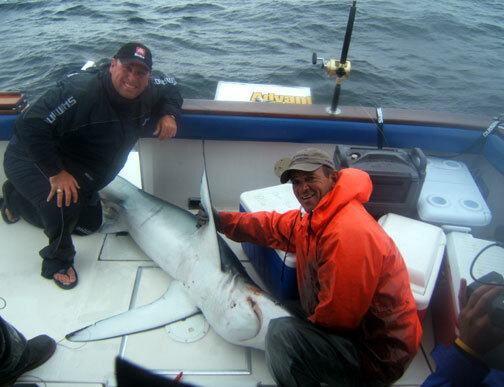 In 2006, the Top Notch program flew winners to Halifax, Nova Scotia for a 3-day shark fishing trip on the Atlantic. This included round-trip airfare to/from anywhere in Canada, as well as accommodation at the Halifax Marriott Harbourfront Hotel. 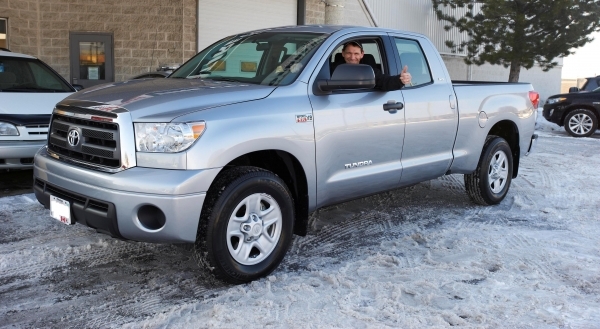 In 2012, Chris Feenstra of Belwood, Ontario earned and collected enough ballots from purchases he made at his local Home Hardware Building Centre to win a brand-new Toyota Tundra 4x4 truck. Would you like to be the next lucky Top Notch member? Find out more about the Top Notch Rewards Program now.